You have worked long and hard to build your business. But for whatever reason, you’re considering selling. This can be a complex endeavor filled with seemingly endless questions. How do you value your business? How do you market it? How do you negotiate with a potential buyer? What steps do you take to close the deal? These are just a few of the issues that must be addressed. Selling your business can be financially rewarding and provide you with the personal satisfaction of knowing that what you created will continue. Plus, you’ll give someone else the chance to be a small business owner. Bottom line is you are going to need some expert help; an SBDC Certified Business Advisor can be a valuable resource during the buying or selling process. Plan ahead — even one to two years in advance. In order to get the best price and ensure continued success of the business, you may need to take specific steps, including making the business more profitable and writing documentation that will assist a buyer. Why should they buy your business? Buyers evaluating your business will generally require at least three years of financial information, including tax returns and a current balance sheet. You should have the most recent 12 months’ financial statements by month, as buyers will want to see any seasonal fluctuations. Have a list of the assets for sale and either the current book value or a supportable value of each. Other information that might be valuable for a buyer include permits, licensing, leases, customer and vendor contracts, supplier lists, and marketing materials. 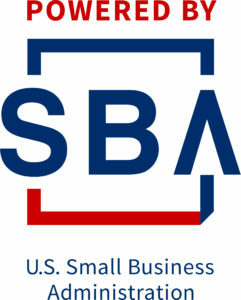 Your SBDC Certified Business Advisor can explain to you, using your financial data, the most commonly used valuation techniques. Your advisory team typically includes your attorney, your accountant, possibly a business broker or realtor, your banker, and your SBDC Business Advisor. How will you market your business for sale? Determine your strategy, prepare a marketing package and implement your action plan. Are you comfortable negotiating with potential buyers? If not, or if you have an emotional attachment to the business, it may be helpful to use an intermediary such as an agent or broker. Make sure you will be available to meet with prospective buyers and answer their questions. Keep your business ready to be shown at any time.